Woooo it’s a party! Or at least a party on my nails. 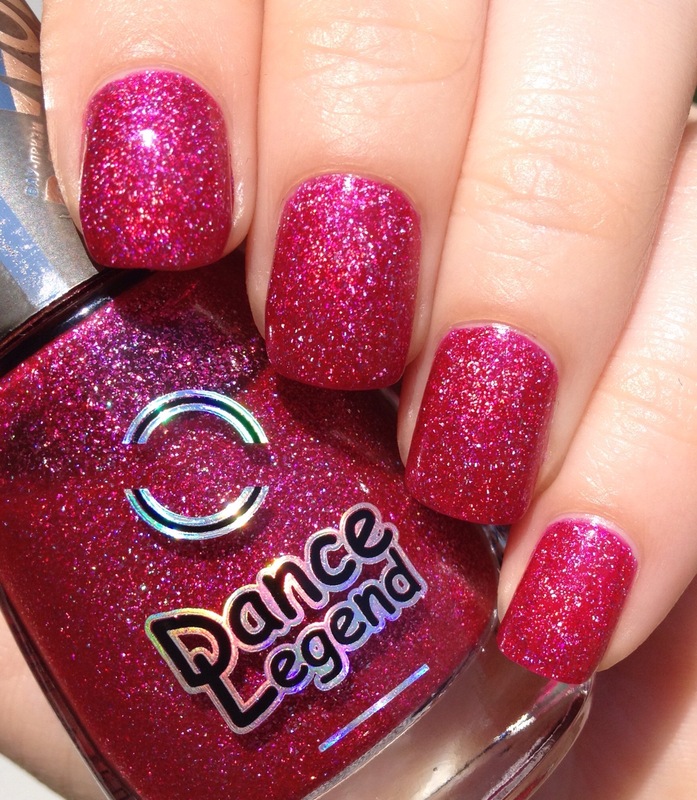 This is Dance Legend’s “Party Time,” a hot pink/magenta jelly with big scattered holo particles. This is part of the Wow Prisms collection, which all have a similar jelly/holo particle formula and finish. The depth on this polish is just amazing. Sometimes when I wear it, I just get absorbed staring at my nails. Okay, I’m staring at it now. If this post is late, you’ll know why. This is three coats with top coat. It can be a wee bit sheer because it is a jelly, but totally worth it. If the holo particles were any bigger, you’d have to call them shreds. You can buy this polish on Dance Legend’s website, but because shipping from Russia can be kind of chancy, in the past, I have mostly purchased Dance Legend polishes from Llarowe, who has the whole Wow Prism collection (plus I like to rack up the reward points). Oh man, I’ve got all of these on my wishlist, in the hopes that one day they’ll go on sale. Bonus feature: here is “Party Time” in the shade. Still gorgeous. That is one eye catching polish! The sparkle is insane!! Yeah, these Wow Prisms are nuts- plus the jelly formula lets allll the holo shine through! this reminds me that I need Dance Legend in my life!!! Oh so gorgeous!!! Gosh I need to get my hands on some Dance Legends. I always get mine at Llarowe (because I am too impatient to wait for them to come from Russia)- plus they occasionally go on sale there! Guh. I’m totally entranced in the hot, pink, glimmer. This is mesmerizing!! Your swatches are so divine of this!! It’s all “come on Barbie, let’s go party!’! Wow this is such a pretty pink..I need a holo pink now! DL’s are just gorgeous polishes..and this line is so stunning. Love this shade! I have a few colors like this in my collection but non with a jelly formula. I bet you could do some really cool pond manicure with this. Long live the sparkle! 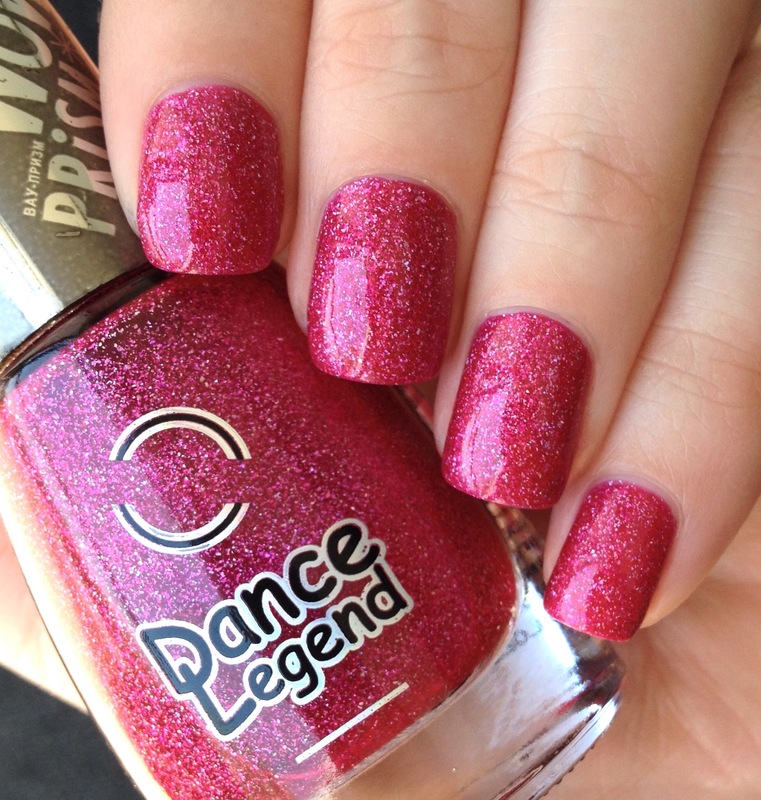 This looks so gorgeous, I cannot believe I don’t own any Dance Legend yet!